Young African researchers met with international experts in Accra, Ghana, at the second KEYS symposium to enhance their skills in the field of cement and concrete construction technology. The KEYS (Knowledge Exchange for Young Scientists) symposia series aims at supporting young researchers and focuses on challenges and potentials of building with these materials in Africa. This includes developing innovative formulas to enable the production of cement and concrete with local resources. The Volkswagen Foundation is funding the symposia series, which is coordinated by the Federal Institute for Materials Research and Testing (BAM), Berlin, Germany. 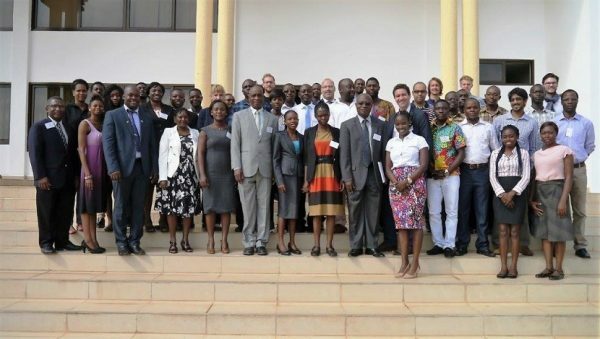 The second symposium recently took place in Accra, Ghana, where young researchers from all over Africa and from Germany met with international experts in the field of cement and concrete technology to discuss about future trends and current problems in their field. The event was titled “Valorisation of Industrial By-products for Sustainable Cement and Concrete Construction – Improvement of Solid Waste Management”. More than 20 young postgraduates and postdoctoral scientists were invited to present and critically discuss their recent studies. Eight international keynote speakers contributed their expertise and exchanged experiences with their young colleagues. The meeting in Accra was the second symposium after a successful event in 2015 in Dar es Salaam, Tanzania. The third event of this series will take place in June 2017 in Johannesburg, South Africa (Theme: “Applicable Cement and Concrete Technology in Africa – International Cooperation, Innovation, Research and Capacity Building”) at the University of the Witwatersrand.